Dr. Zack grew up around Chicago where he attended public school before earning a degree in Secondary Social Studies Education at the University of Illinois. He began teaching for the Albuquerque Public School system in the early ’90s. Here his interest in multicultural education and alternative assessmet came together at Freedom High School and through his studies at the University of New Mexico. After seven years teaching in the southwest and earning his masters degree, focusing on “educational thought and sociocultural studies,” Zack returned to Chicago. There, he helped establish one of the country’s first charter schools on the City’s westside. Serving an African American community, The Academy of Communications and Technology Charter School sought to “provide a college preperatory education to historically underserved urban youth.” While teaching in Chicago, Zack earned his Ph.D. in Curriculum Design, focusing again on issues of cultural and linguistic diversity at the University of Illinois, Chicago. 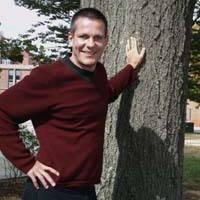 Dr. Zack is interested in qualitative research, multicultural curriculum, queer praxis, inclusion, ELLs, experiential social studies methods, alternative assessment models, urban education, and choice schools. He is the primary instructor for the Teacher Certification Program for College Graduates at the Greater Hartford campus. Zack, j. Mannheim, A. & Alfano, M.P. (In Press) “I didn’t know what to say…” – Four archetypal responses to homophobic rhetoric in the classroom. The High School Journal.